Click here for a map of the Pellerin Annexation. David Toyer, founder of Toyer Strategic Consulting and a native of Lake Stevens, is leading several annexation efforts to finally unite Lake Stevens as one community around the lake. 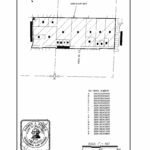 On October 3, 2017 we submitted a 10% notice of intent to annexation the area known as “Pellerin” to the City of Lake Stevens. On December 12, 2017 the City Council for the City of Lake Stevens adopted Resolution 2017-021, authorizing circulation of a 60% petition. On December 21, 2017 we submitted a 60% annexation petition to the City of Lake Stevens, seeking annexation of approximately 27 acres. Submission of the 60% petition now requires the City of Lake Stevens to hold a public hearing to formally consider annexation of the area. If annexed, the Pellerin area would have a comprehensive plan designation of medium density residential (MDR) and zoning of high urban residential (HUR). We expect the public hearing to occur in late January or early February of 2018. With Congress considering changes to our federal tax code, I’m reminded how every few years there’s a push for major tax reform. The ‘reform’ always begins with both sides arguing three basic points: the rates are too high, the rates are too low, and the rules are too complicated for average people to understand. Yet despite the battle cry to “do something” the efforts usually end with mere tinkering at the edges – a far cry from the wholesale change envisioned. However, our federal tax code isn’t the only complex regulatory scheme in need of reform. In fact, for those of you that think that our nation’s tax code is horrible and reform is divisive, let me suggest there is actual something far worse lurking at the local level: outdated zoning regulations. Zoning is something we all pay for, but rarely think about. The origins of zoning date back to the mid-1860s when restrictions on commercial activity were adopted for areas in Brooklyn, NY. However, it wasn’t until 1916 when New York became the first city to adopt city-wide zoning regulations, leading to the adoption of zoning codes throughout much of the nation by the mid 1920s. In the nearly 100 years since zoning was established, most jurisdictions have passed hundreds, if not thousands, of amendments that replaced some of the most obviously outdated chapters, added new zoning schemes to rapidly developing areas, and promulgated additional administrative rules and code interpretations. The result is a labyrinth that leave even great planners struggling with implementation and consistent application of the standards. 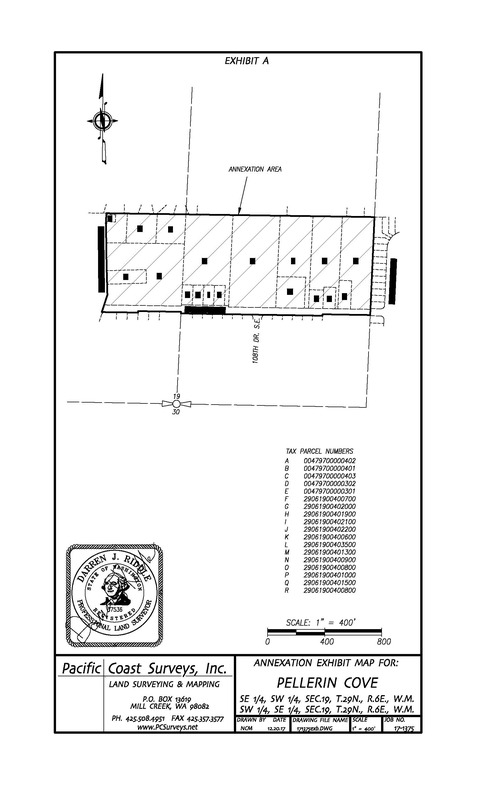 Take for example a zoning district that one of our clients was struggling with last month. The district, originally created in the 1970s, has been amended a couple of times over the last 40+ years with the most recent just about a decade ago. However, none of the amendments were comprehensive. This ‘tinkering’ with standards was either a response to change (sometimes to prevent development) or loose desire to find ways to encourage new development. The struggle with aged zoning regulations is that the type, size and aesthetic of development contemplated 40+ years ago couldn’t have envisioned how businesses of that type would evolve. This leaves planners, citizens and developers often scratching their heads in frustration. For example, 40+ years ago a 25 foot height limit on a small, local manufacturer may have worked. But with today’s global marketplace, building costs, automation, technology, and equipment the equivalent need is for a height of 30 to 40 feet. When codes don’t keep up with changes in the marketplace, the community may lose the project to somewhere that has current standards. Or the community and company are forced into utilizing processes to seek and approve “deviations” or “variances” – the laymen terms for administrative and quasi-judicial processes that have been added to codes in order to approve projects that aren’t otherwise allowed per the strict requirements of the code. And more often than not, these added approval processes are shortcuts created by jurisdictions because they don’t often have the time, resources or resolve to address the real need to update and modernize the code requirements themselves. But the pitfall of deviations, variances and administrative approvals that “by-pass” portions of the regulatory labyrinth come with unintended and negative consequences. First, they don’t work in all cases because they are often subjective approvals that can be swayed by local politics. Second, they invite residents of the community to criticize the process as planners caving, bending or catering to the developer. Both of these consequences are bad. And either the community gets a reputation for not being pro-economic development or they get a reputation as being bought and paid for by developers. And as you can imagine, this has larger political ramifications for local elected officials. Over the last decade communities have started to move forward with “Unified Development Code” projects that overhaul all their zoning regulations and combine the standards spread across multiple chapters of code into a single zoning chapter that eliminates duplication, increases consistency (e.g. in how terms are defined), and makes necessary changes to bring the standards themselves current to the types of development actually happening. But this type of project can be expensive and many jurisdictions either balk at a perceived lack of return on investment (ROI) for their the time and cost; or they don’t have the resources to afford improving the system. Thus, communities continue to trudge the muddy road of doing things the same way but expecting different results. Our company, working with both communities and developers, can attest to the improvements and benefits of overhauling zoning. We strongly encourage those communities to adopt unified development codes if they are eager to experience economic growth, diligent about providing transparency for their citizens, and serious about reducing unnecessary costs, burdens and appeals stemming from outdated regulations. Contact us if you want to learn more about how zoning can help your community. Companies, especially those in real estate development, have developed comprehensive due diligence/feasibility processes to determine if a project is a go or no-go. 2. The company proceeds with a project only to run into an ‘unexpected’ political change that threatens the entitlements they seek (e.g. moratoriums, more stringent regulations, emergency ordinances, etc.). Political & Regulatory Risk Assessments – We specialize in understanding local and state regulatory systems and we excel at researching local regulatory trends, past project results, changing political winds (example: is the no-growth neighborhood group running candidates to flip the local council/board?). We can help your company assess the political and regulatory risks prior to your investment. 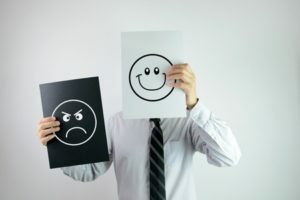 Reverse Engineering of Regulatory Roadblocks – Have you ever passed on a project because you ran into a single regulatory limitation that didn’t fit the project (e.g. allowed % of lot coverage was too low for your home designs)? We help companies assess regulatory roadblocks and design strategies that can change the red flag your seeing into a green light. Maximizing the Project’s Value – What if you could get a little more density? Shorten your approval by a few weeks? Or reduce some of your project’s conditions? We can help with that. We understand the politics of negotiation, as well as the opportunities to speed up local regulatory processes, and we can assist you in maximizing your next project’s value. Proactive Project Mine-Clearing – Developing relationships, seeking code interpretations, securing code amendments – are all efforts we can manage on your behalf prior to your next project moving forward. Community Outreach – There’s nothing worse than thinking everything is going great only to go to hearing and have dozens of neighbors show up in opposition. We are experienced at communicating with neighborhoods and adjacent landowners, and we can help your company manage long-term project risk by utilizing the opportunity to address concerns early in the process. Want to learn more about how we can help your projects? Contact us. You’ve got an economic development plan, but does it address implementation? Planning for implementation answers questions like: Who’s going to do the work? Who’s responsible? What do we do first. . .second. . .third? And when do we start? Analyst reviews research to form recommendations to President/CEO and board Convener calls for meetings of external groups focused on issues and industry events, etc. Decision-maker final decision, budget approval, etc. Confidant has the ear of business Confidant has the ear of business Connector to other business, FDI, etc. Toyer Strategic recently completed a project to guide the City of El Segundo, California’s Economic Development Advisory Council (EDAC) through a facilitated strategic planning process to assess the community’s strengths, weakness, opportunities and threats (SWOT) and establish a two-year work plan for economic development. The project included a review the City’s existing economic development plans; completion of phone and in person interviews of city council and EDAC members; distribution, collection and evaluation of a survey assessment completed by members of the city council and EDAC; two on-site 3 hour facilitated planning sessions with EDAC; and the submission of a final work plan with implementation strategies and recommendations. El Segundo is located immediately south of LAX, offering unparalleled access to commercial and private air services that major headquarters often require to stay competitive. 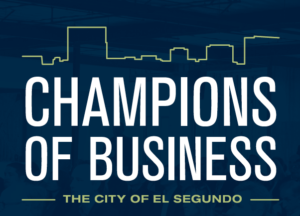 Learn more about El Segundo.